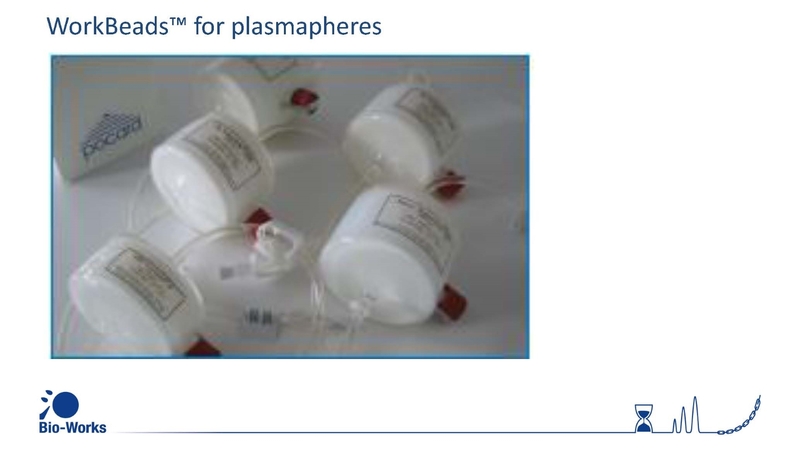 An agarose is a polysaccharide polymer material, generally extracted from seaweed. 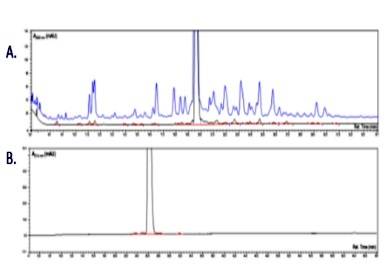 Agarose is a linear polymer made up of the repeating unit of agarobiose, which is a disaccharide made up of D-galactose and 3,6-anhydro-L-galactopyranose. 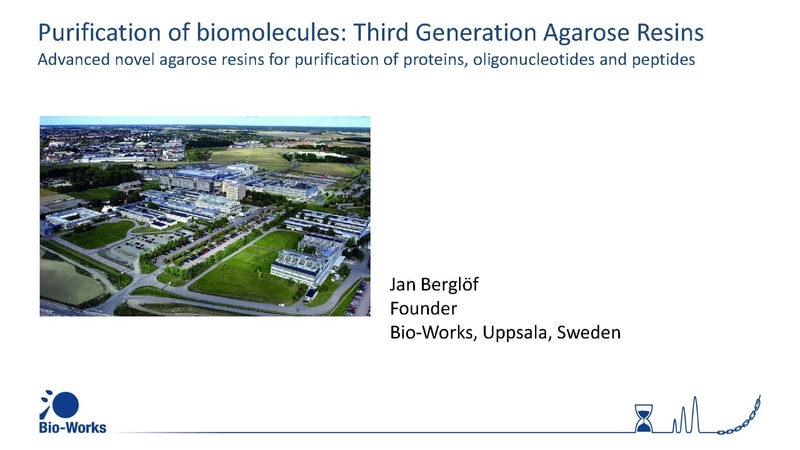 Agarose is one of the two principal components of agar, and is purified from agar by removing agar's other component, agaropectin. 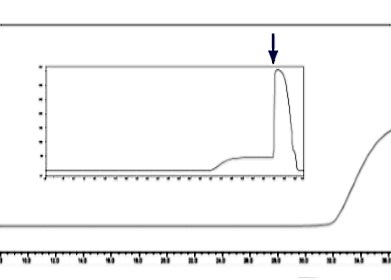 An agarose gel in tray used for gel electrophoresis Agarose is frequently used in molecular biology for the separation of large molecules, especially DNA, by electrophoresis. Slabs of agarose gels (usually 0.7 - 2%) for electrophoresis are readily prepared by pouring the warm, liquid solution into a mold. 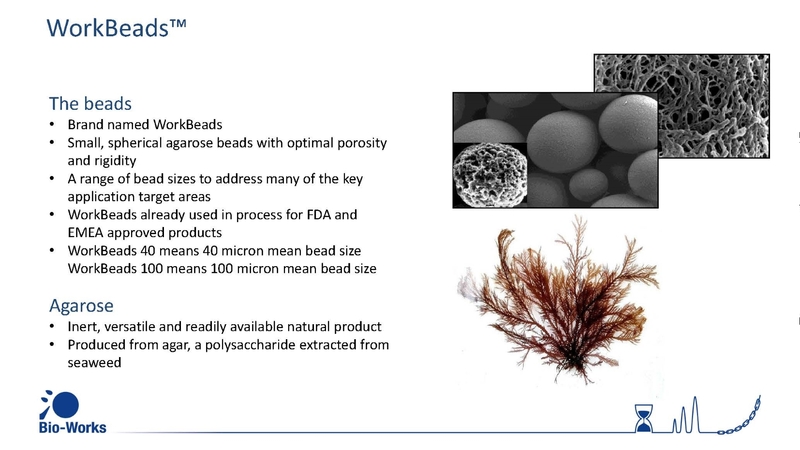 A wide range of different agaroses of varying molecular weights and properties are commercially available for this purpose. 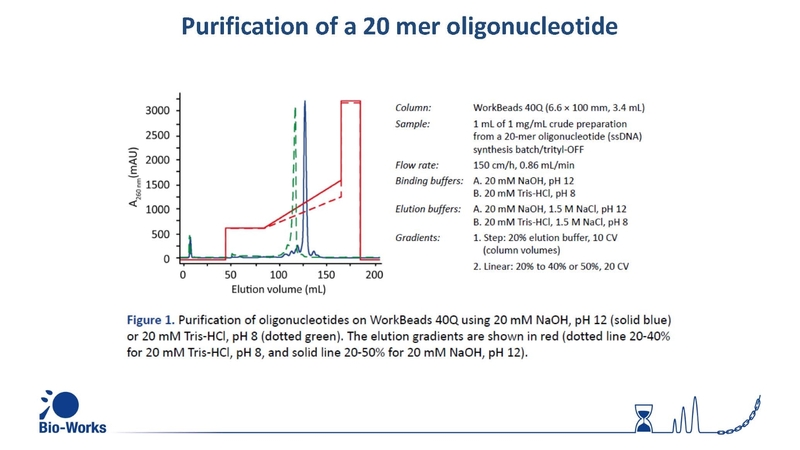 Agarose may also be formed into beads and used in a number of chromatographic methods for protein purification. 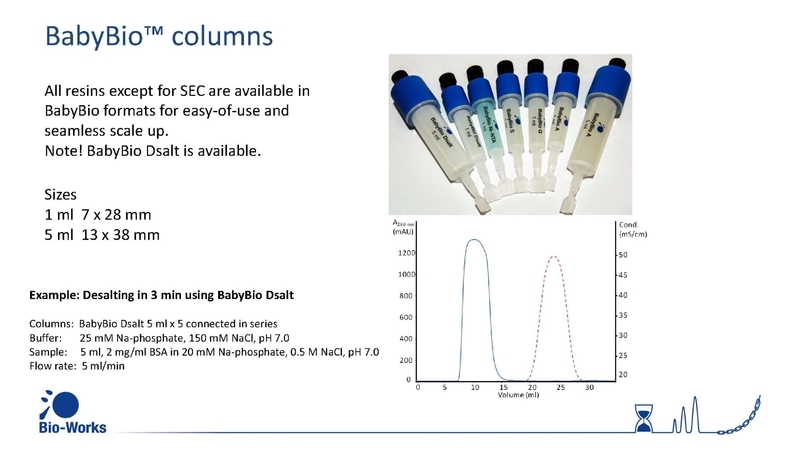 Agarose gel matrix is often used for protein purification, for example, in column-based preparative scale separation as in gel filtration chromatography, affinity chromatography and ion exchange chromatography. 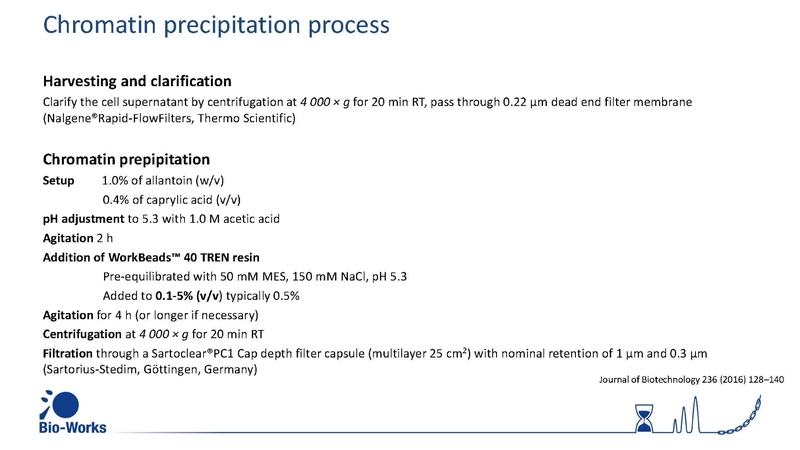 It is however not used as a continuous gel, rather it is formed into porous beads or resins of varying fineness. 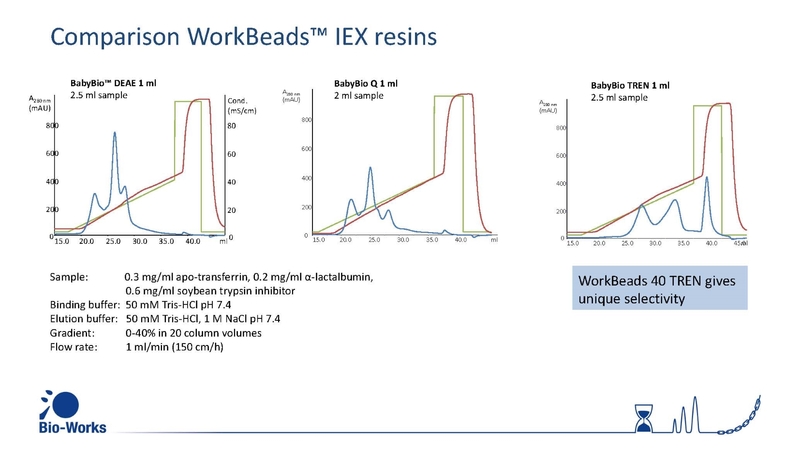 The beads are highly porous so that protein may flow freely through the beads. 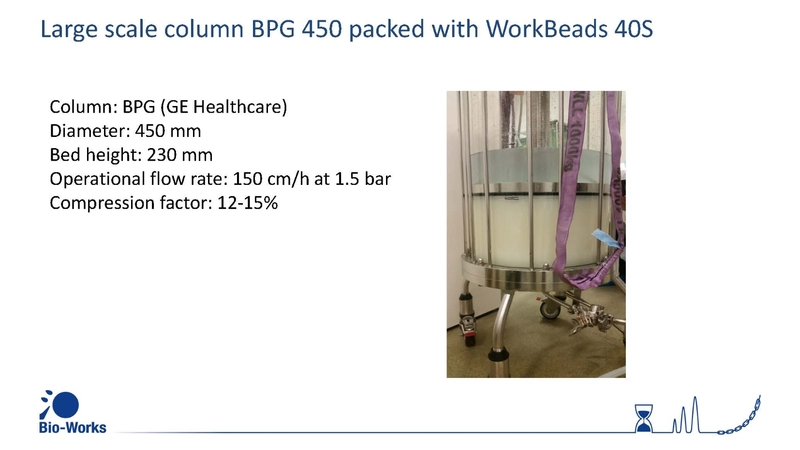 These agarose-based beads are generally soft and easily crushed, so they should be used under gravity-flow, low-speed centrifugation, or low-pressure procedures. 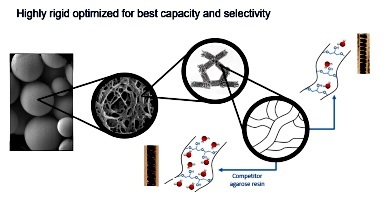 The strength of the resins can be improved by increased cross-linking and chemical hardening of the agarose resins, however such changes may also result in a lower binding capacity for protein in some separation procedures such as affinity chromatography. 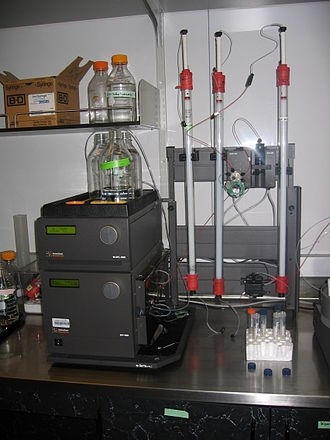 Agarose-based gel filtration columns used for protein purification on an AKTA FPLC machine. 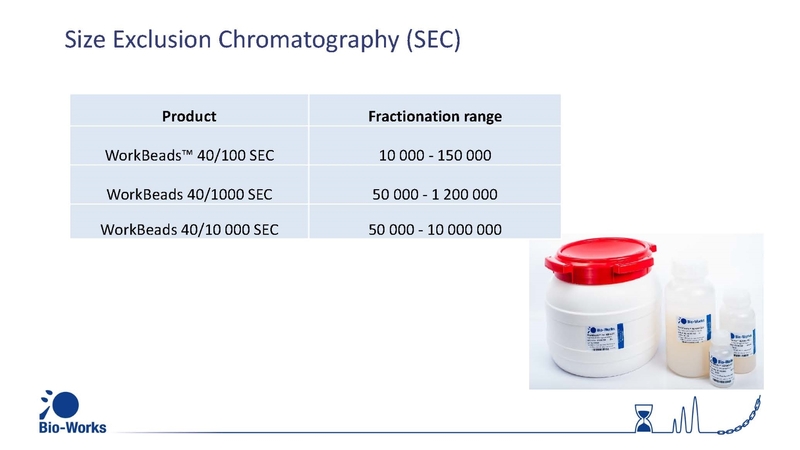 Agarose is a useful material for chromatography because it does not absorb biomolecules to any significant extent, has good flow properties, and can tolerate extremes of pH and ionic strength as well as high concentration of denaturants such as 8M urea or 6M guanidine HCl. 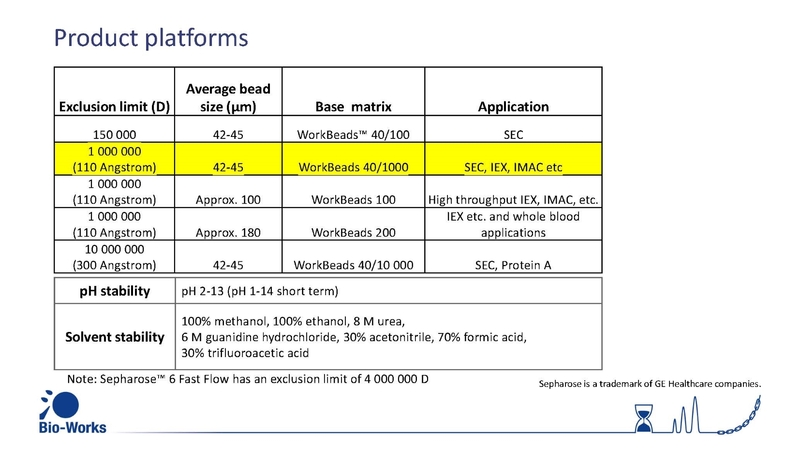 Examples of agarose-based matrix for gel filtration chromatography are Sepharose and WorkBeads 40 SEC (cross-linked beaded agarose), Praesto and Superose (highly cross-linked beaded agaroses), and Superdex (dextran covalently linked to agarose). 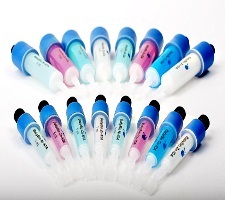 For affinity chromatography, beaded agarose is the most commonly used matrix resin for the attachment of the ligands that bind protein. 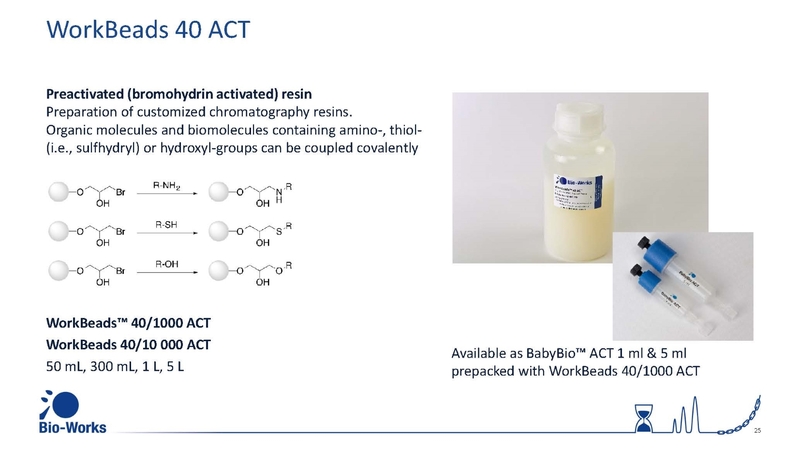 The ligands are linked covalently through a spacer to activated hydroxyl groups of agarose bead polymer. 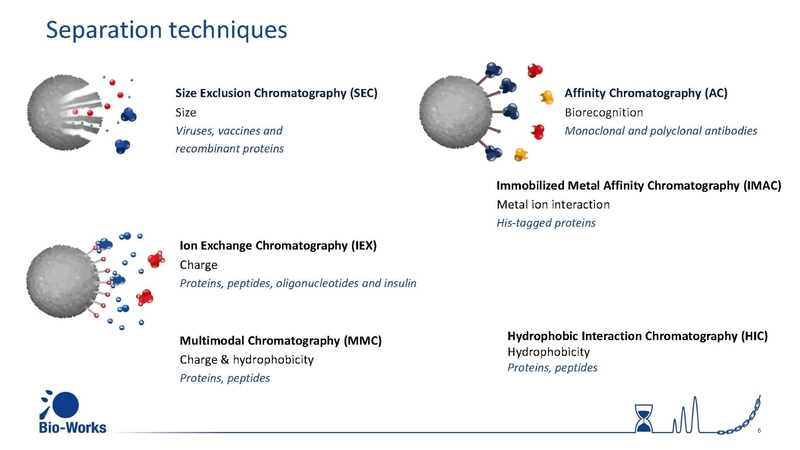 Proteins of interest can then be selectively bound to the ligands to separate them from other proteins, after which it can be eluted. 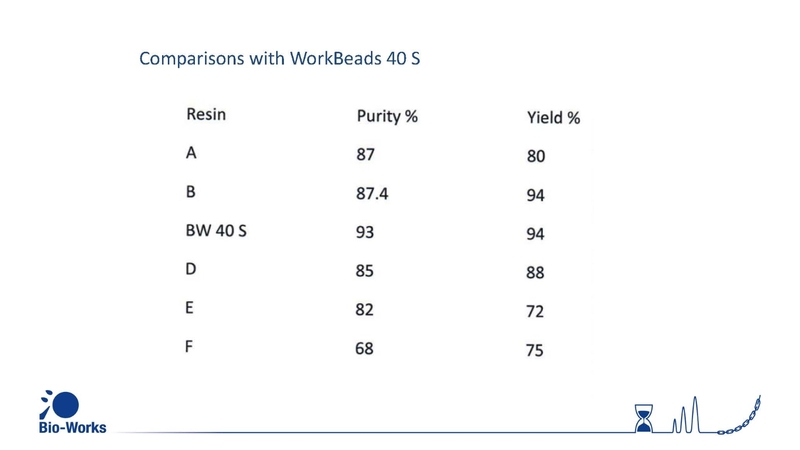 The agarose beads used are typically of 4% and 6% densities with a high binding capacity for protein. 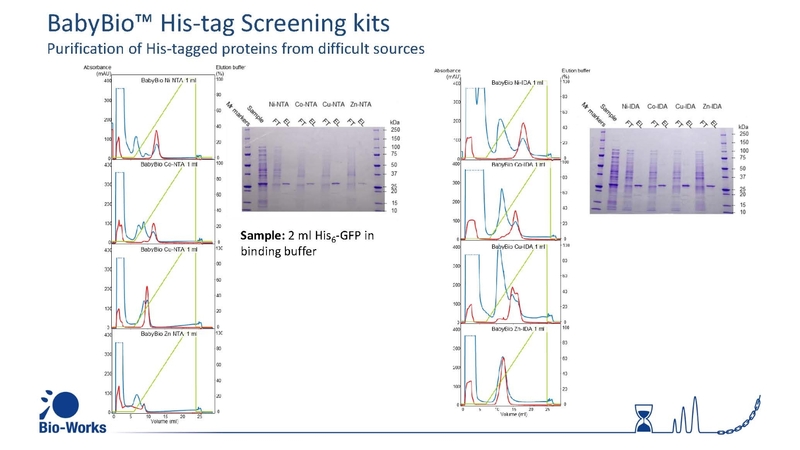 Agarose is proven to be excellently compatible with natural biomolecules like proteins, DNA carbohydrates etc. 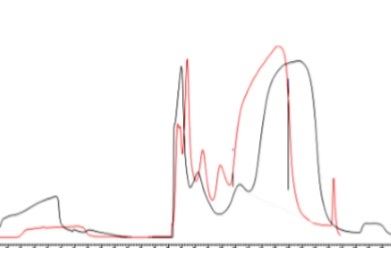 The material shows minimal non specific interaction due to hydrophilic nature of agarose. 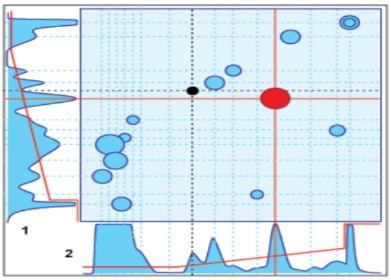 Unlike matrices made from synthetic polymers, agarose does not have micro pores that can contribute to local pH variations in the microenvironment in the column and distorted separations. 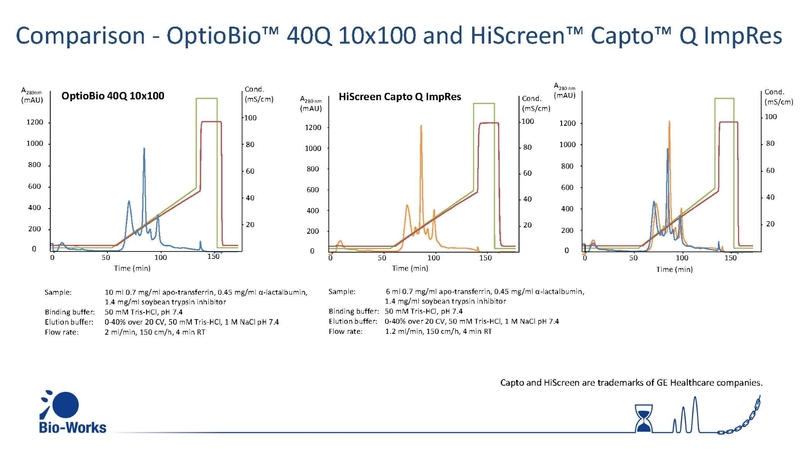 Our partners, the Bio-Works started 2006 is one top Professional Agarose based chromatography media innovator experienced in the biotech industry and in protein purification. Located in Sweden with quality management system (QMS) based on standards of ISO 9001:2008,our partners has leverages quality documents and support on request, technical support, certificates, statements, vendor audits and regulatory support information. 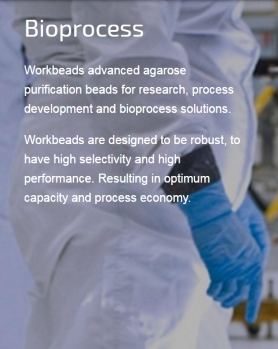 Bio-Works produces agarose based high performance products in industrial scale for uses in research and production within areas of Research & Laboratory, Life Science & Biopharma and Food & Beverage. 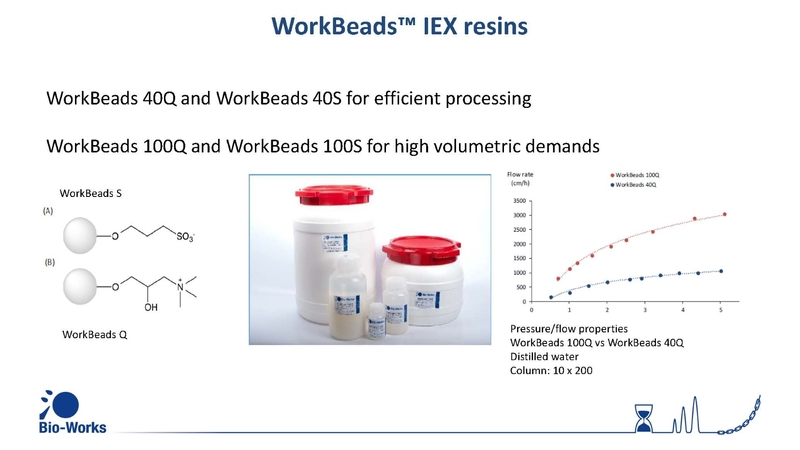 Intellectual Property and Know How Bio-Works has patents covering improved agarose bead production methods, with know how and intellectual property to produce high rigidity agarose-based beads that is very important to avoid compression under high flow rates, allowing very high flow rates and large loading fluid be processed economically. 1. 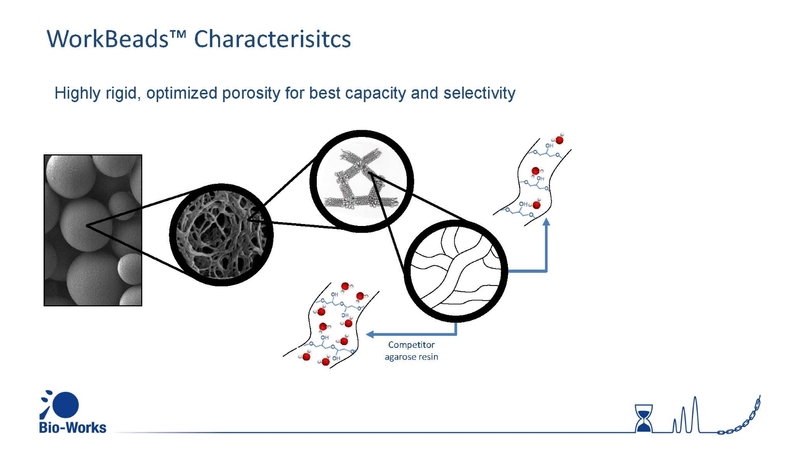 More optimized basic microsphere bonding patent (third-generation Argarose construction). 2. About 1/2 project performance equals to the global brand(eg. 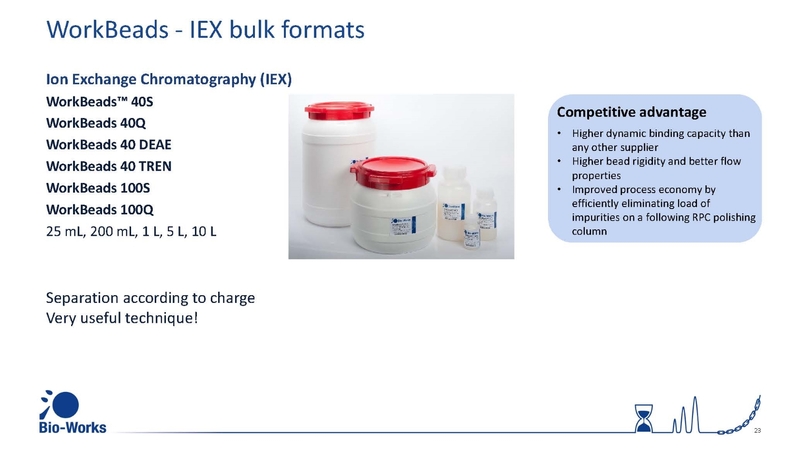 Anion IEC). 3. 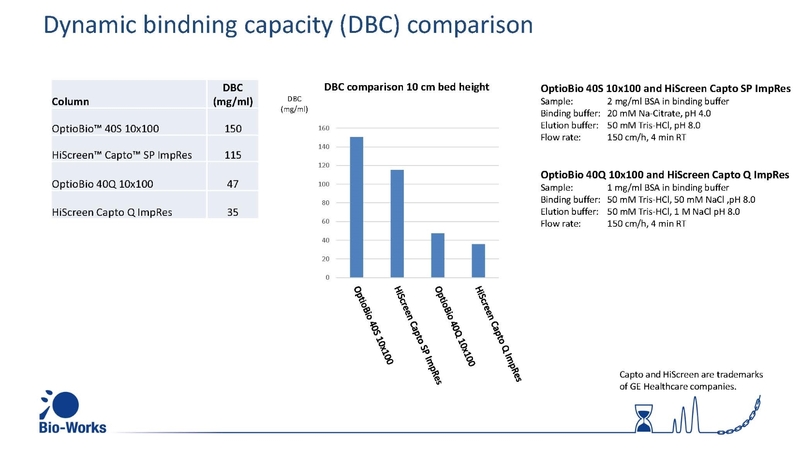 About 1/2 project performance is more optimized than the global brand (eg Cation IEC, Affinity). 6. Special rich professional knowledge and application experience (30 years of the global brand experience). 8. 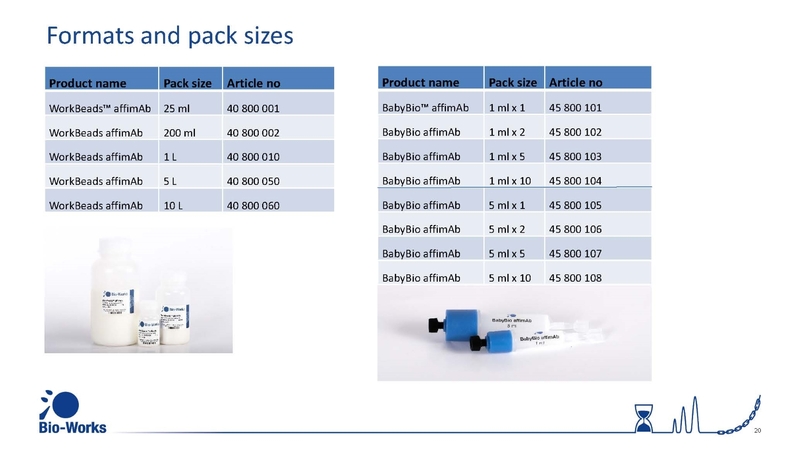 More helpful application costs for small Prepacked-Columns and bulk of Gel. 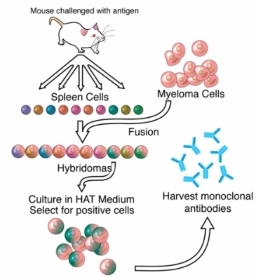 The monoclonal antibody (MAb) medicines have had very rapid development within decade. 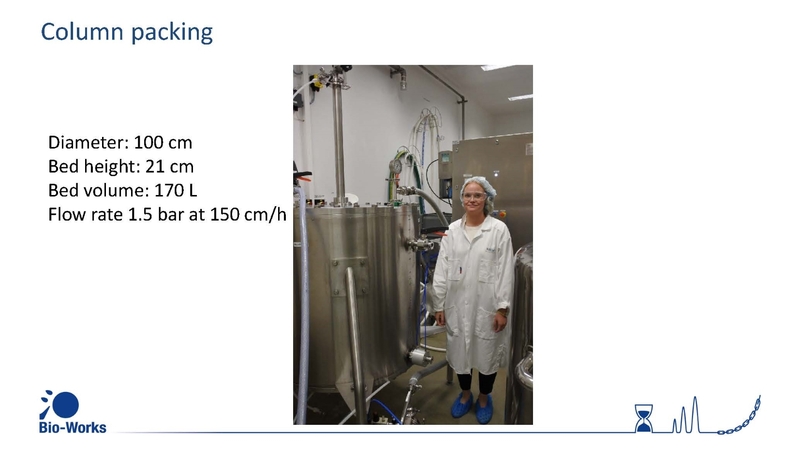 count for >50% of the new drugs bio-manufacturing market today. 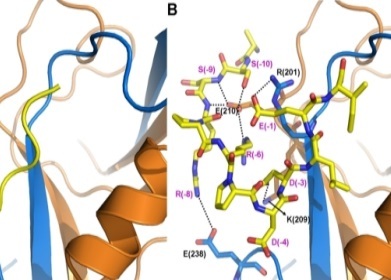 Over millions of years of evolution, the bacterial cells has developed a kind molecules, the Protein A to protect it against the host's immune systems. 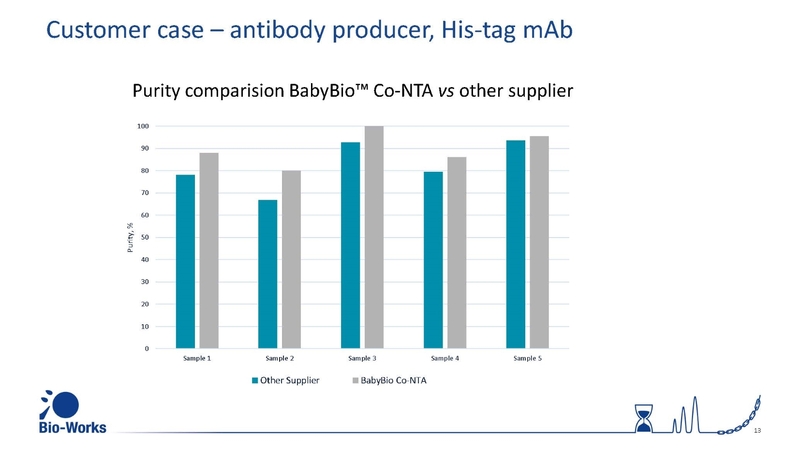 And fantastically, it has extreme specificity for antibodies that's very hard to match with anything. 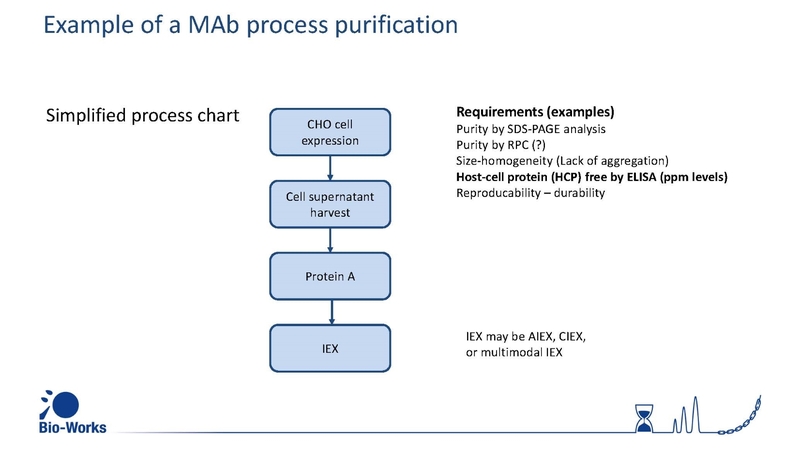 This is why the MAb purification by immobilized Protein A gel has persist for more than 30 years ! 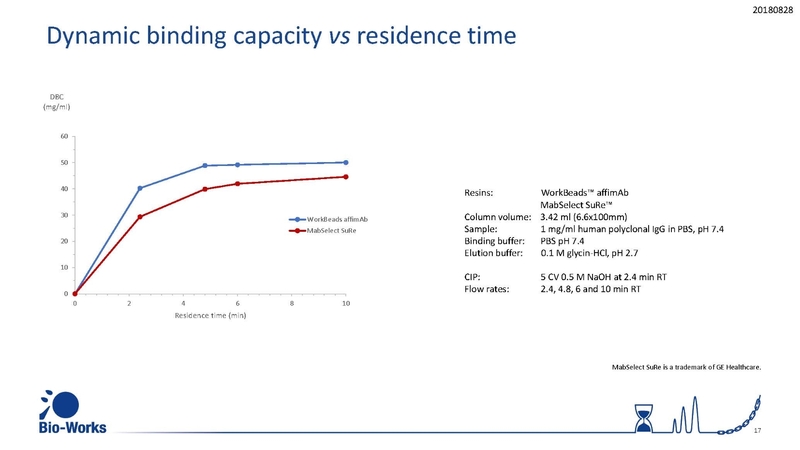 Top performance dynamic binding capacity also at short residence times. 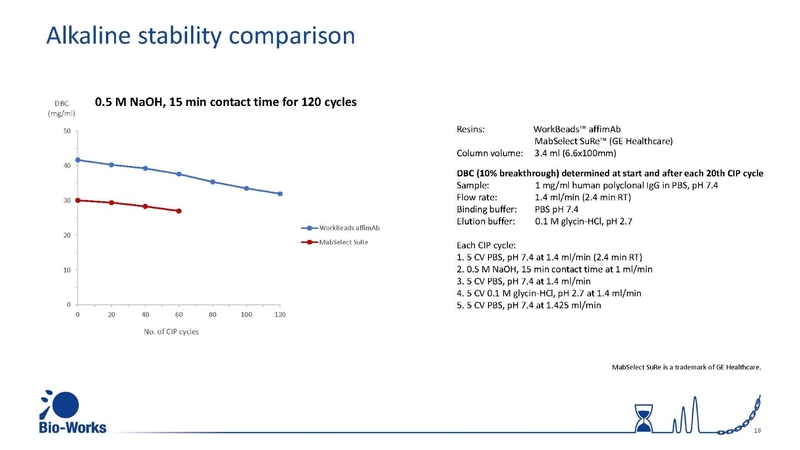 will uniquely prolong the longest protein A resin lifetime and have best impurity removal. 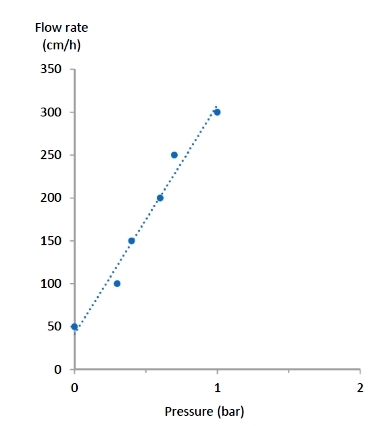 with best rigidity, resolution, and flow properties of the column. 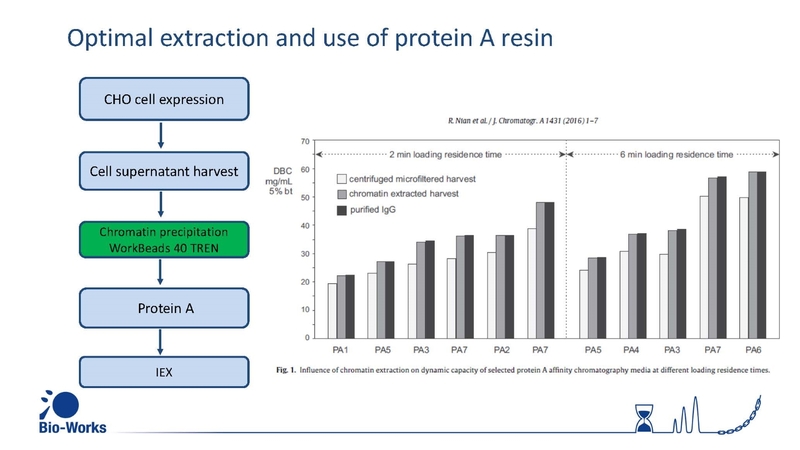 The protein A leakage is similar compared to other protein A resins on the market. 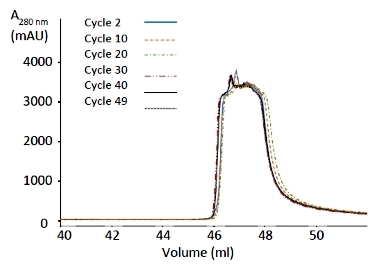 The determination were analyzed by standard enzyme-linked immunosorbent assay (ELISA). 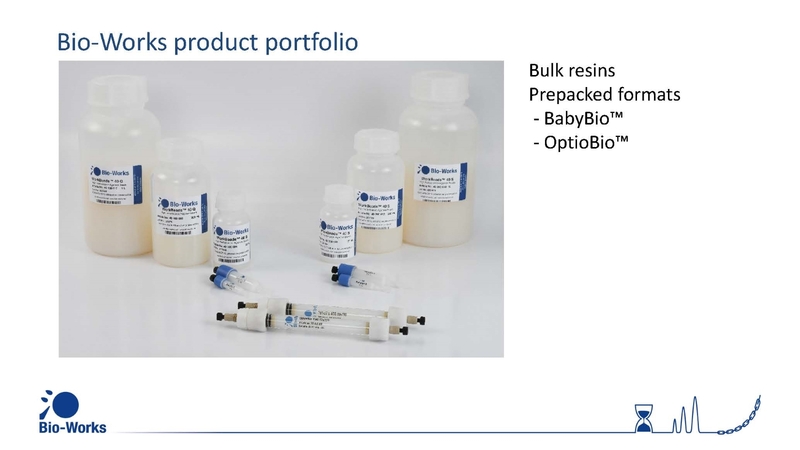 Convenient prepacked 1 ml and 5 ml BabyBio™ columns and bulk volume for pilot and process scales supply with on site packing and application supports. 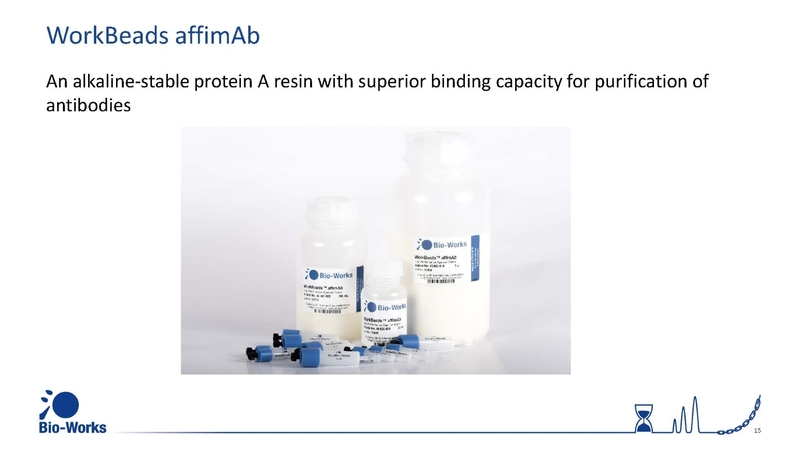 A resin Purification of antibodies or Fc fusion proteins from mammalian host cells, such as Chinese Hamster Ovary (CHO), which is the primary mAb expression system to reduce the risk of immunogenicity, cause extensive bioburden on the protein A column. 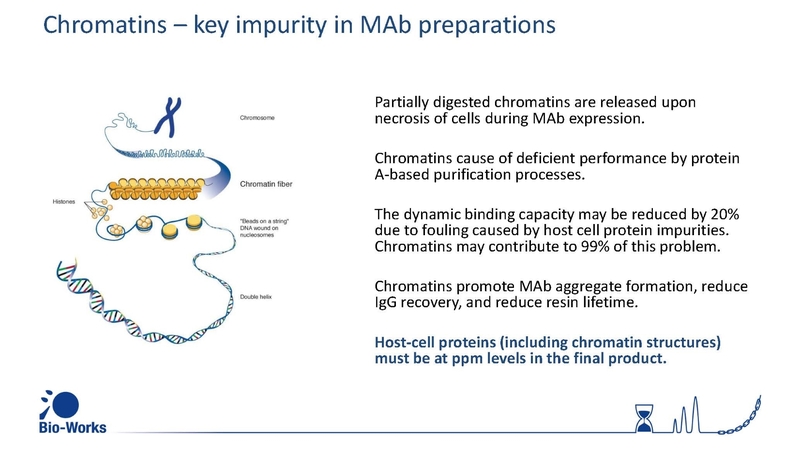 Chromatins are large DNA-protein complexes released from the host cells upon cell death and cell lysis. 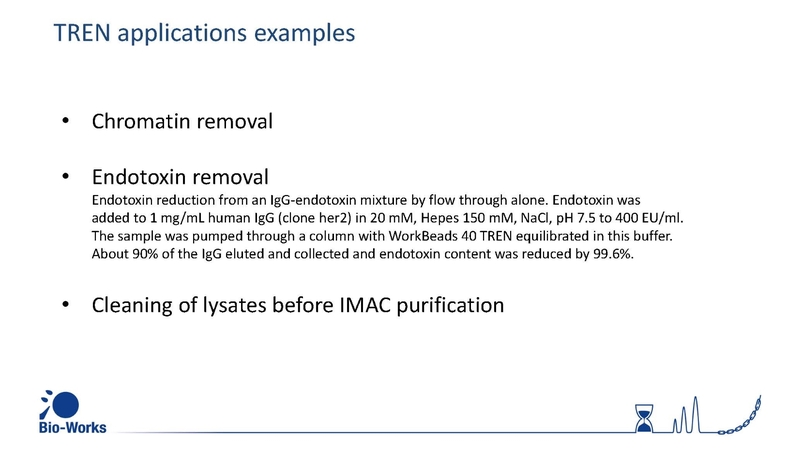 These complexes together with host cell proteins in general cause damage to the protein A column. 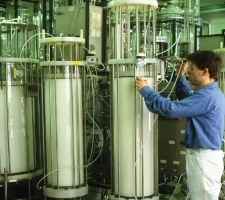 Regular cleaning-in-place (CIP) is mandatory in the purification process, but accumulative fouling of the column will still occur. 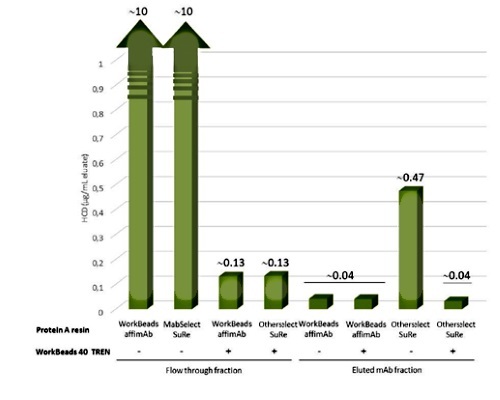 Maximized lifetime of the protein A column is thus an important requirement during the purification process development. 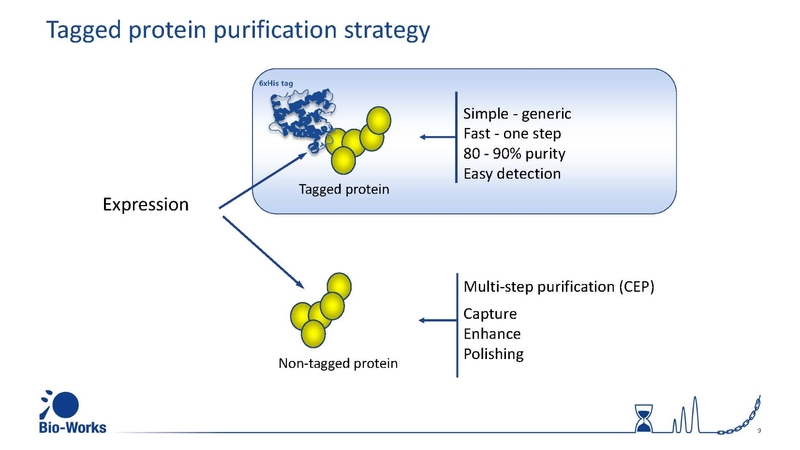 Addition of a purification step before the protein A purification step to reduce the components that compose the worst threat to the protein A column, and in the process improve the final purity of the target antibody is tempting. 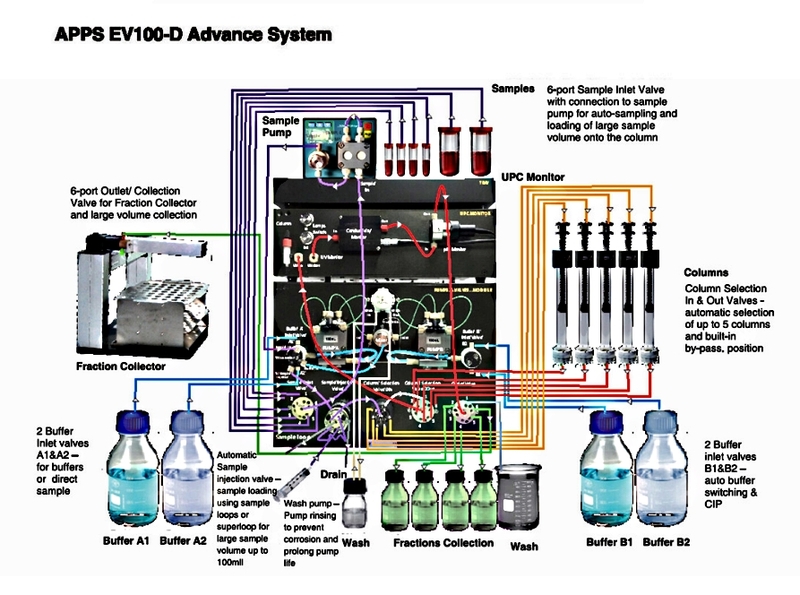 is a significant concern during downstream process purification development for biopharmaceuticals. 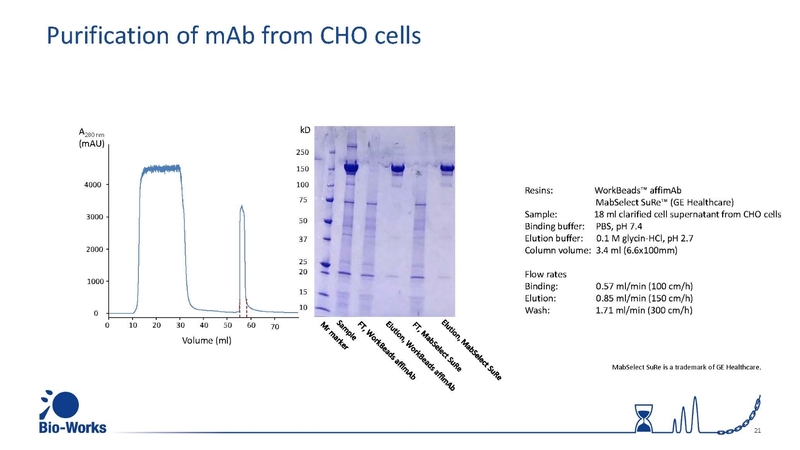 HCP analysis using an enzyme-linked immunosorbent assay (ELISA) for measurement of CHO host cell proteins showed a three-fold reduction of HCP in the mAb eluates from WorkBeads affimAb when WorkBeads 40 TREN was included upstream (see Table 1, second column). 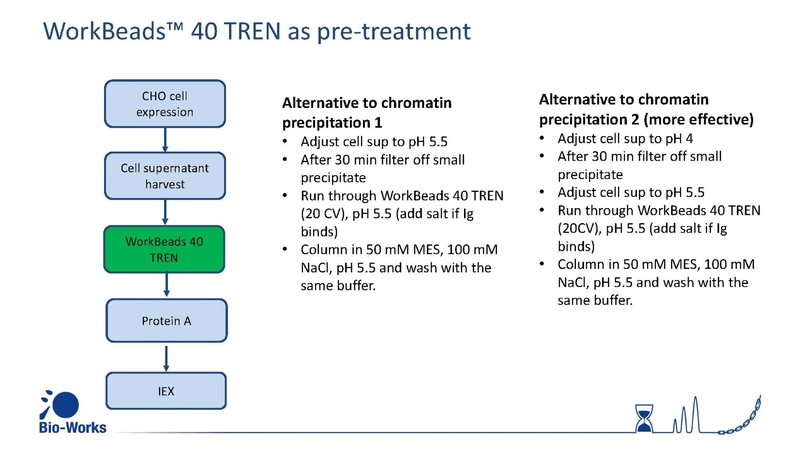 WorkBeads 40 TREN + WorkBeads affimAb, OthersSuRe, and WorkBeads 40 TREN + OthersSuRe. 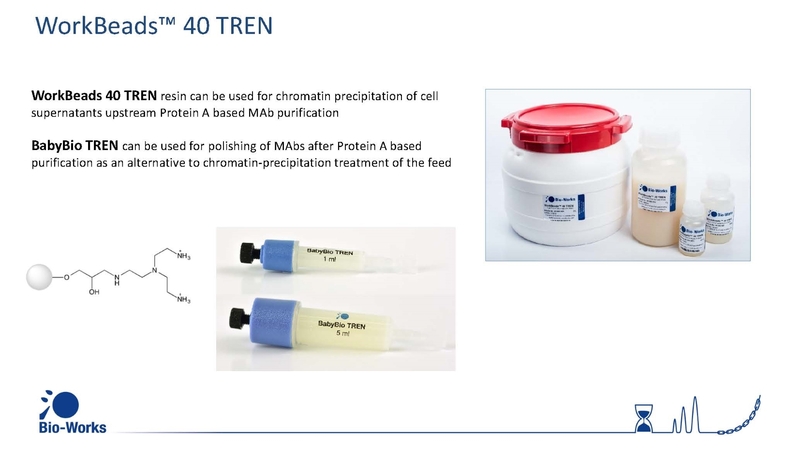 The CHO cell extracts before and after passing the WorkBeads 40 TREN column were analysed for endotoxin content. 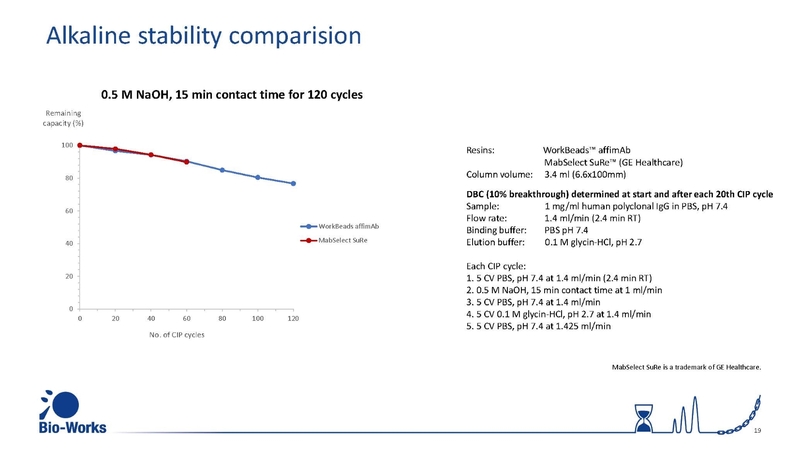 The result showed no endotoxins present (as expected). 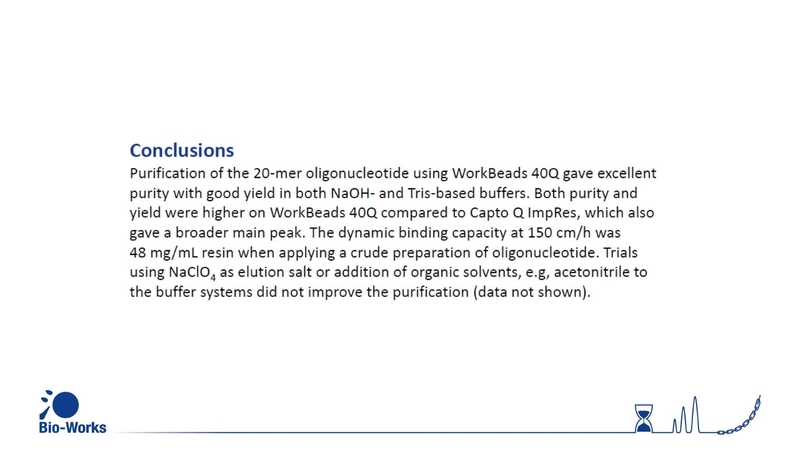 In a separate experiment a sample containing known endotoxins was passed through WorkBeads 40 TREN and the result showed a clearance of > 93% of the endotoxins in phosphate buffer, pH 6 condition, indicating the advantage of employing WorkBeads 40 TREN as a guard column if samples containing endotoxins are purified, e.g., mAbs overexpressed in bacterial cells. Highest capacity, productivity, product recovery & integrity, etc. 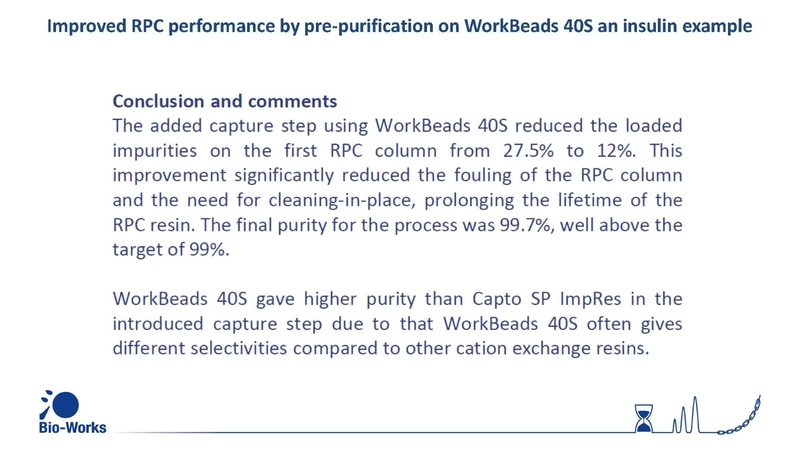 and affordable cost are main goals for professional purification requirements. 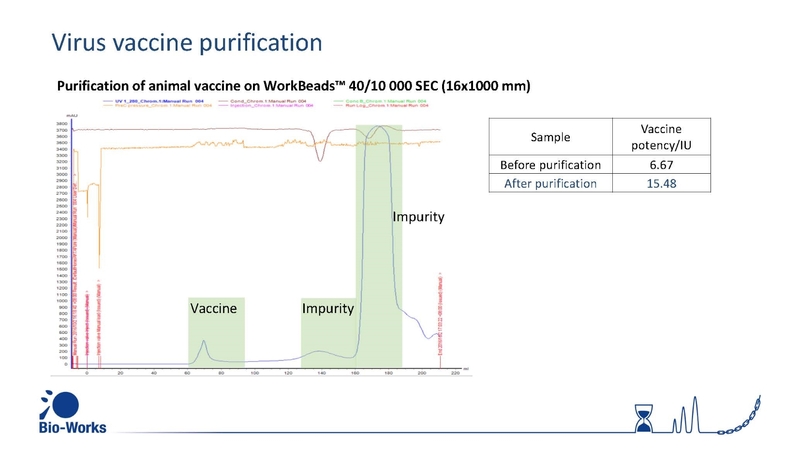 However, if the stability and extensibility of the purification process is not good enough, the long term integrated and management costs may offset most of these achievements. 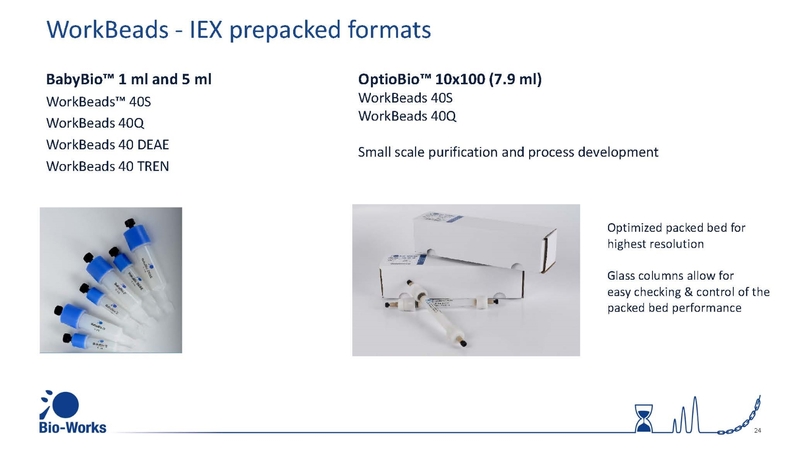 For professional peptides purification processes, the material, equipment and labor costs are important in short term cost management, while the stability and extensibility are instead the major considerations of costs for a longer period to run. 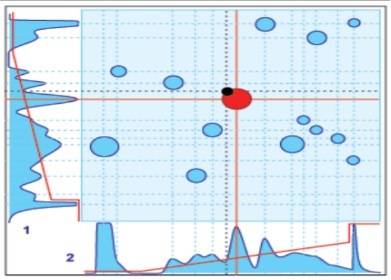 Good process stability can minimize the requirements of modifying or changing the process when raw materials and environmental variations occur. 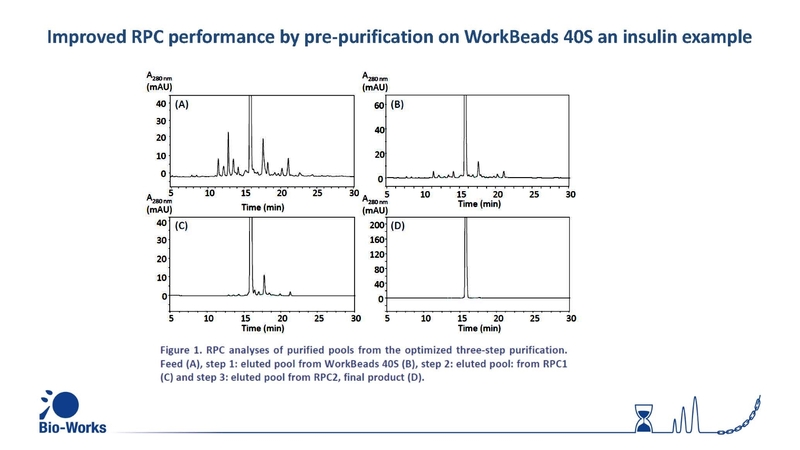 Also, good extensibility of purification process means that we have much more opportunities to use one purification process to the purifications of more other peptides materials without significant modification of the process steps and parameters, and hence can share the common purification logic and steps, share the equipment and reagents used, and minimize the training costs as possible ! 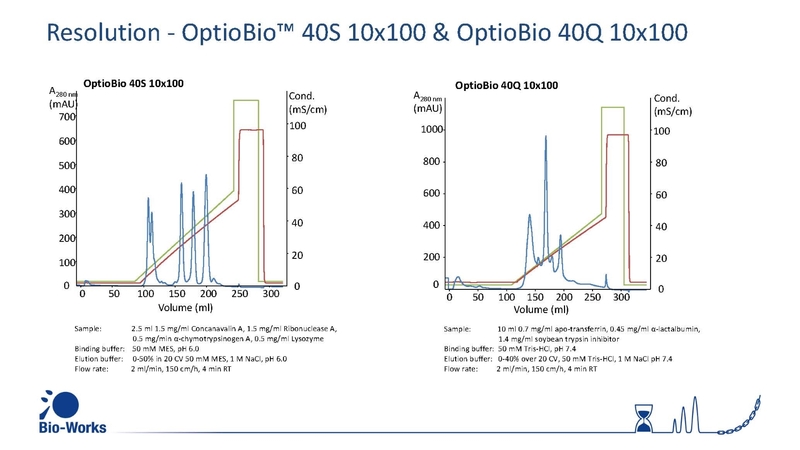 To reach these goals, combinations of Orthogonal purification methods is required for stability, extensibility with highest product purity and customer evaluations. Part of orthogonal design is simple math. 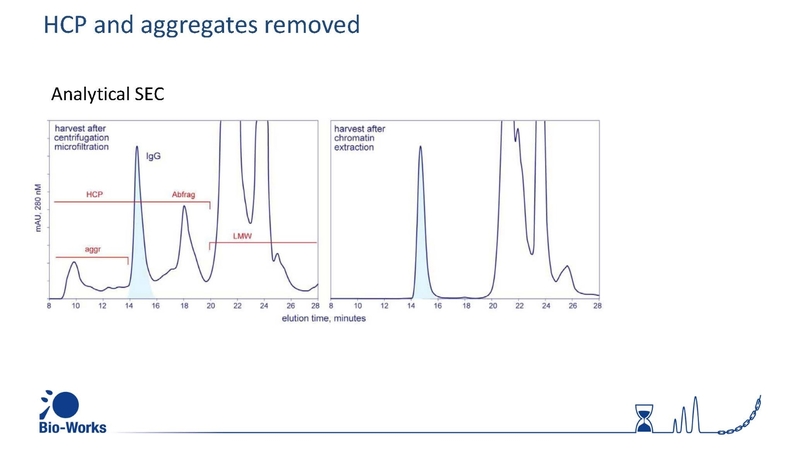 If one separation mechanism removes 90% of the contaminants from a raw sample and another does the same, combined contaminant reduction should be 99%. 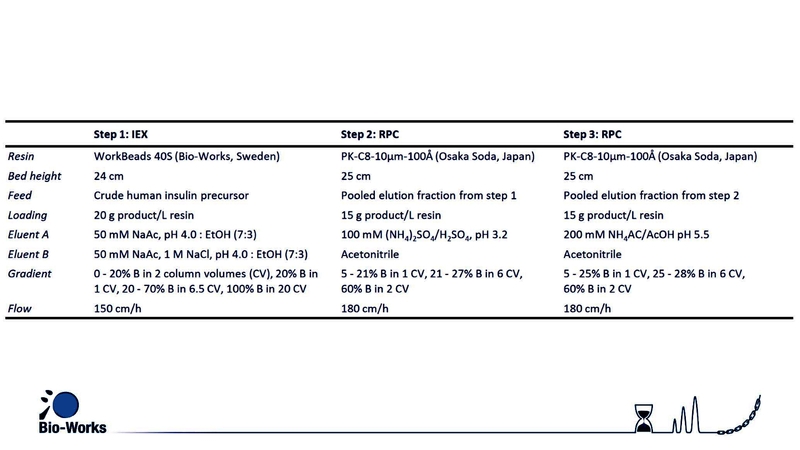 If greater purification is required, a third method would increase the combined purification factor to 99.9%. 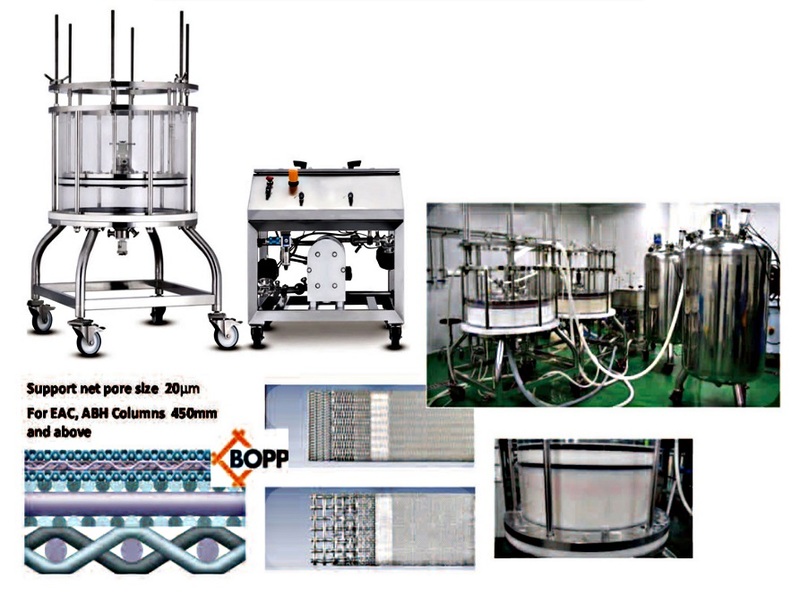 Orthogonal Purification process design is for providing highest capacity, productivity, product recovery & integrity, etc. 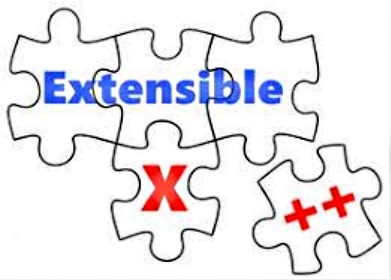 along with good stability and extensibility to minimize the long term integrated management costs. 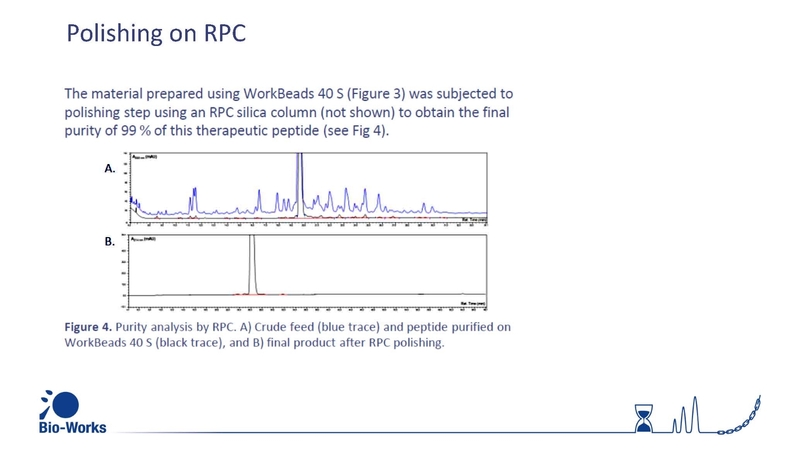 "The use of an agarose-based ion-exchange resin in the purification of a 45-amino acid residue peptide"
In this example case, we have investigated the capture of a synthetic peptide with 45 amino acid residues using WorkBeads™ 40 S, an agarose-based cation-exchange chromatographic resin. 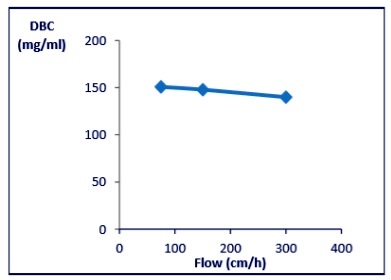 This resin has optimal flow-pressure properties and is stable towards efficient cleaning using strong alkaline conditions. 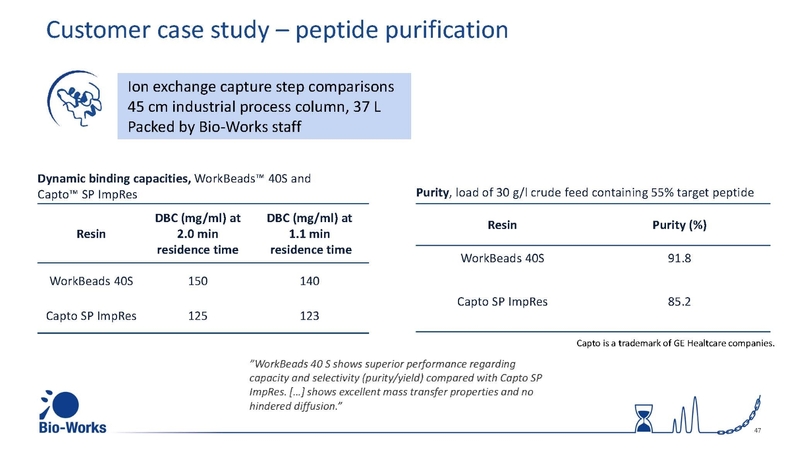 This make it an excellent tool for the capture and purity enhancement of therapeutic peptides from crude feeds following solid-phase synthesis or after recombinant expression. 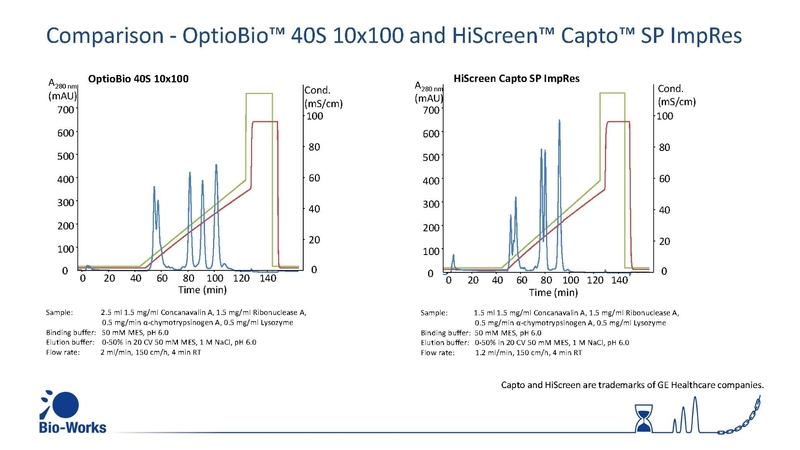 The capture step reduces the irreversible contamination of the downstream high-performance silica-based reversed phase chromatography (RPC)column. 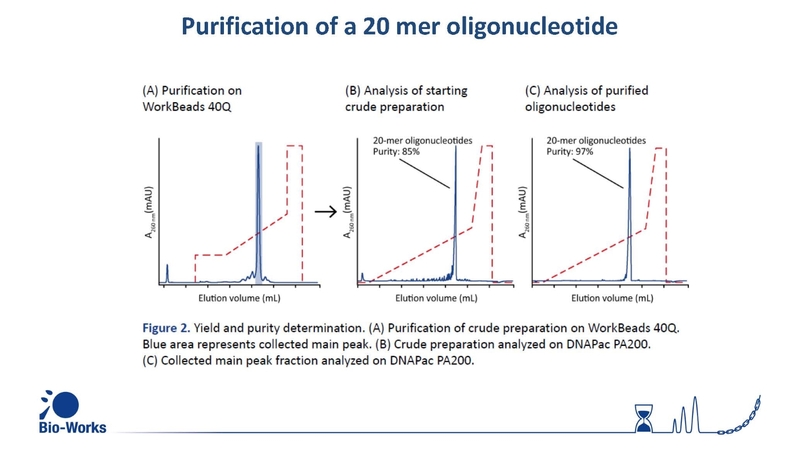 The results demonstrate the significant enhancement of purity using an agarose-based orthogonal ion-exchange step before the final polishing by RPC. 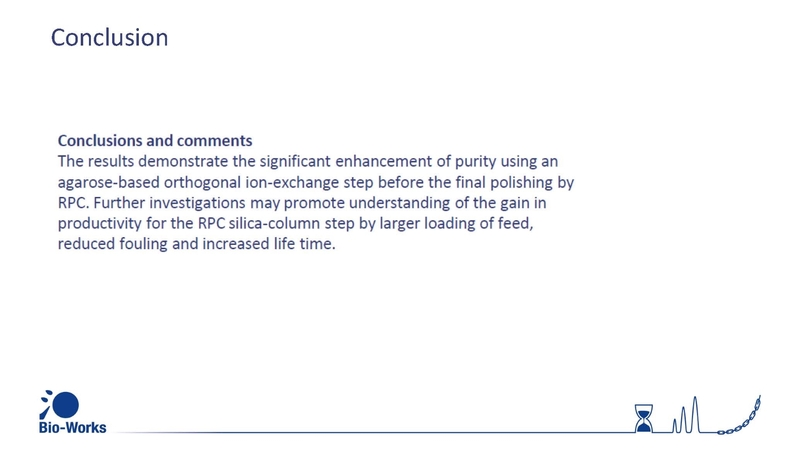 Further investigations may promote understanding of the gain in productivity for the RPC silica-column step by larger loading of feed, reduced fouling and increased life time. 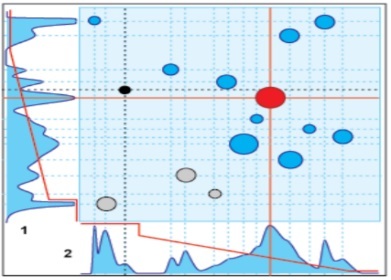 Maximizing complementarity through orthogonal design can reduce the impact of uncontrolled process variation, and thereby enhance process control. The implication needs to be proven case by case but the probabilities are more favorable than for a process that is already operating close to its tolerance limits under the best of circumstances. 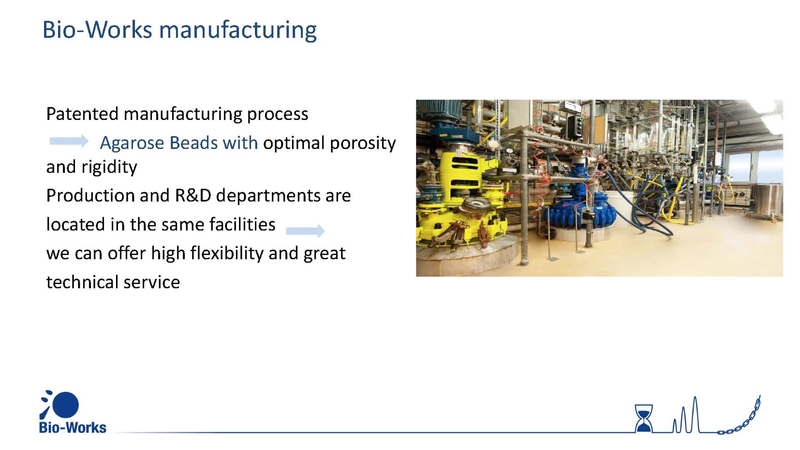 The greater the complementarity among methods, the more tolerant the process will be of peak broadening in the individual methods, and the greater the productivity per manufacturing cycle. 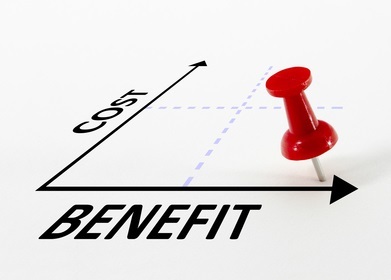 Beyond the savings achieved by better product recovery, elimination of a process step reduces hardware costs, media costs, buffer costs, labor costs, process time, and validation expense. 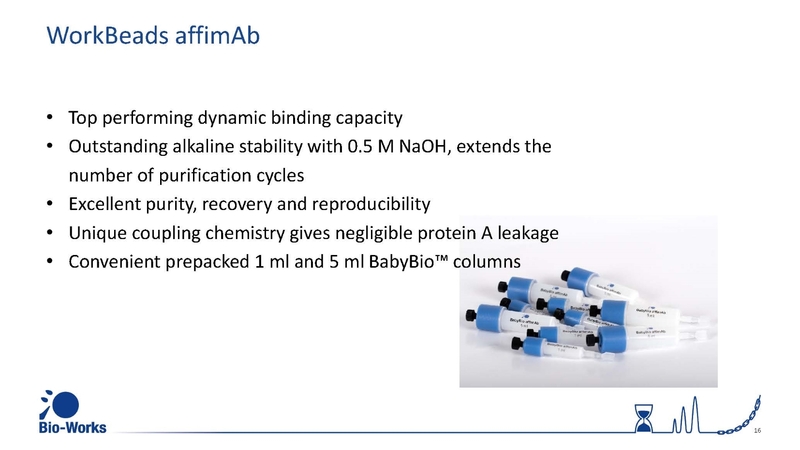 Individual isoforms may have different pharmacokinetic properties, so inadvertent reduction or removal of one or more isoforms in conjunction with removing a near-eluting contaminant has potential clinical and regulatory ramifications. 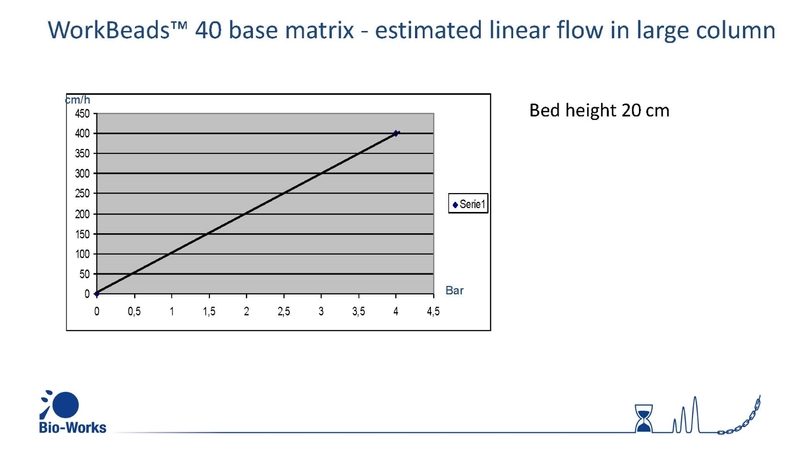 This risk can be dramatically reduced if there is no need to shave peak boundaries. 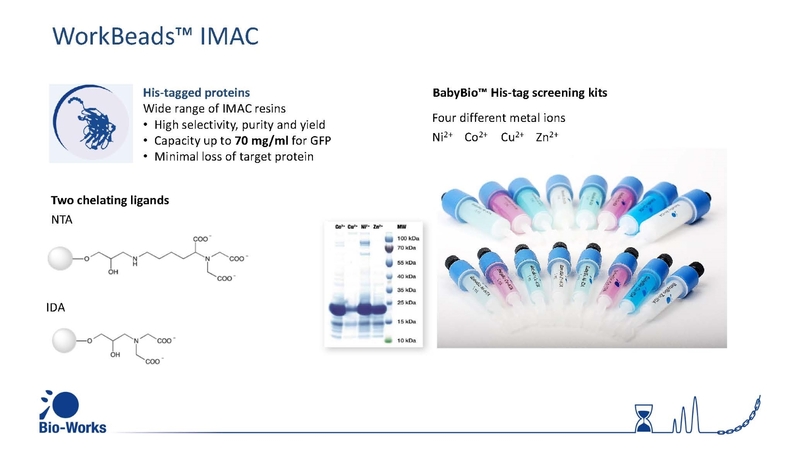 The development of customized chromatography resins requires methods for covalent attachment of a functional ligand to the matrix. 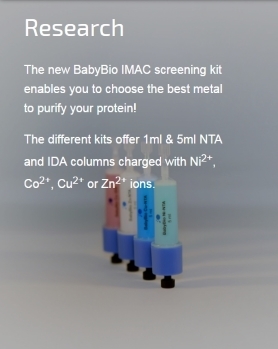 The ligand can be a protein, peptide, carbohydrate, or an organic substance. 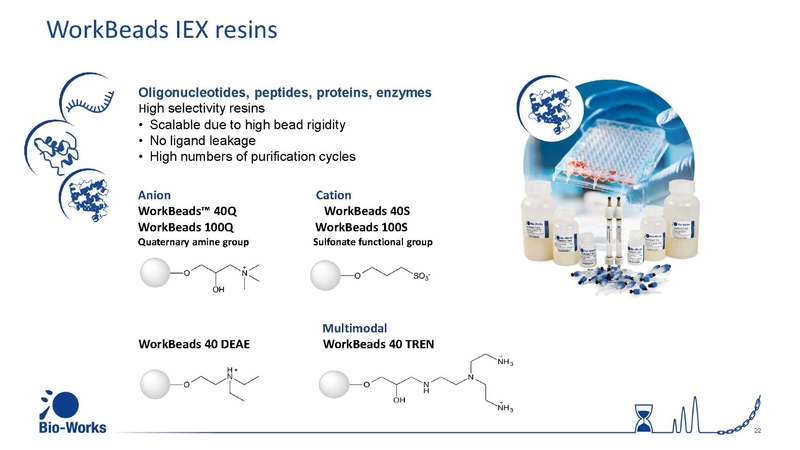 The development of customized chromatography resins requires methods for covalent attachment of a functional ligand to the matrix. 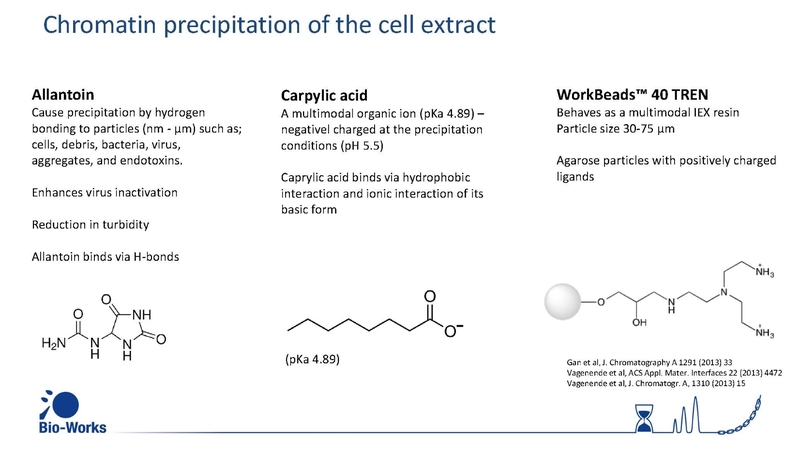 The ligand can be a protein, peptide, carbohydrate, or an organic substance. 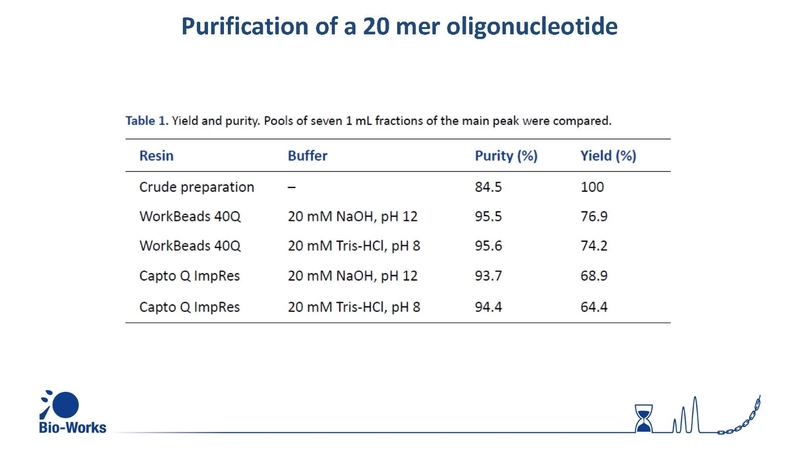 Nucleophilic N, S, or O atoms in primary amines in the ligands to be coupled. 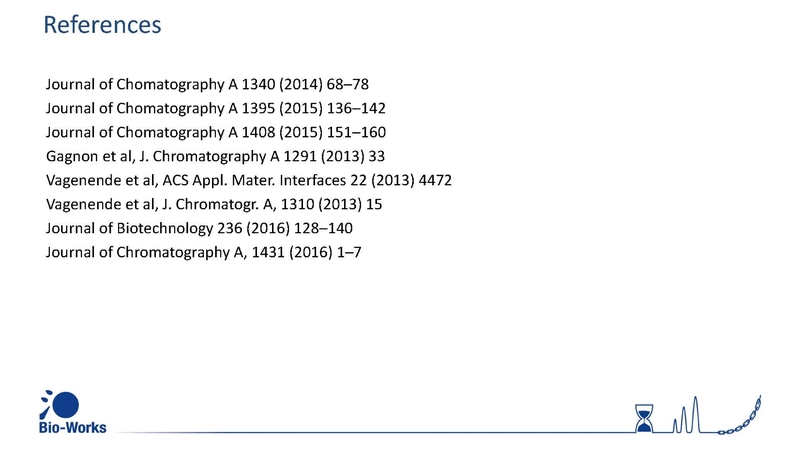 (sulfhydryl, hydroxyl, aldehyde, carboxylic or histidyl groups). 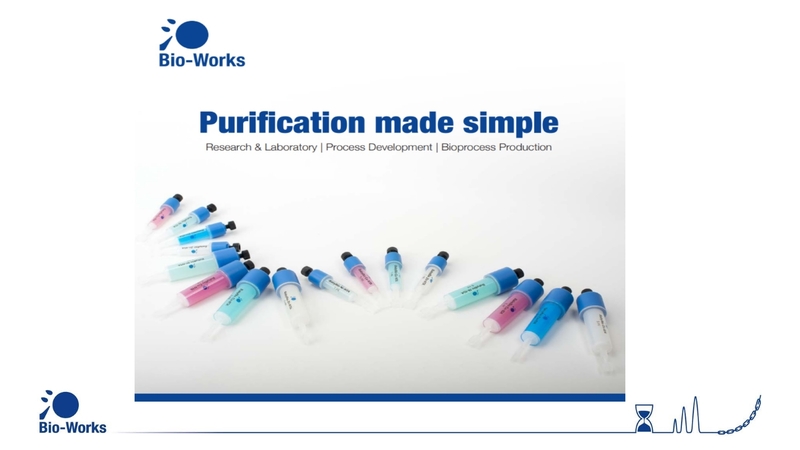 For Process purification requirements, we provide customized gel service on end user demand that is optimized both for best specificity, performance and long term cost. .
During 2018, Bio-Works has updated the quality management system according to the international standard ISO 9001: 2015. 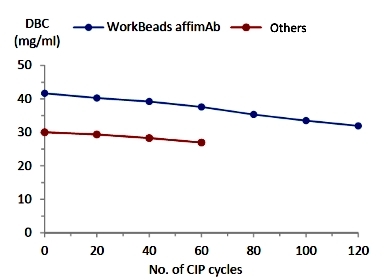 The system was fully introduced into the organization in January 2019. 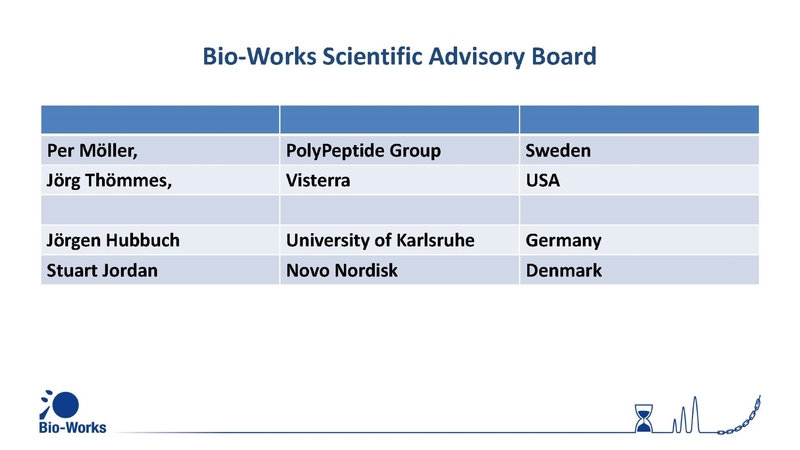 Bio-Works has now been audited and approved by an external certification organization, which means that the management system meets the requirements of the standard. 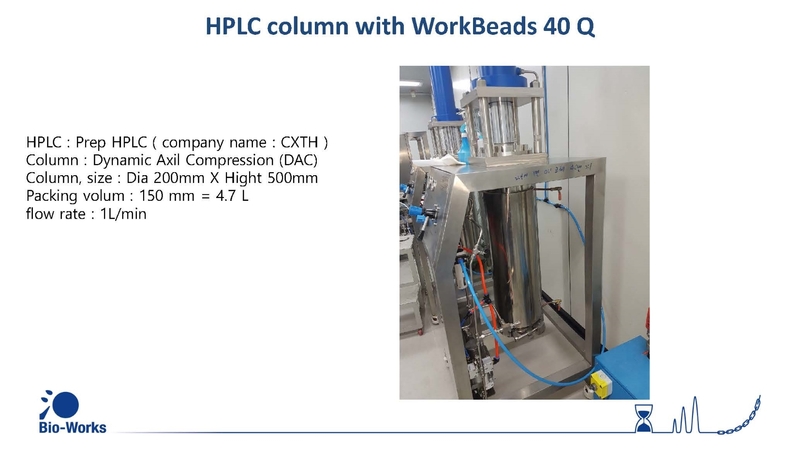 The standard is harmonized with EU regulations and certification endorses the company's ability to provide products that consistently meet both customer requirements and applicable legal requirements. The certification covers product development, production, marketing and sales. By designing a quality management system with a strong customer focus where all processes and routines are carefully designed and quality tested according to international standards. 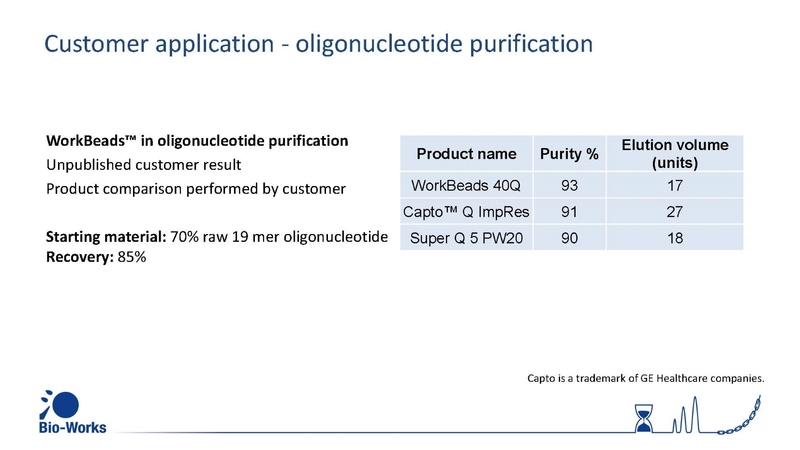 Bio-Works ensures that it continues to deliver products and services in accordance with the requirements that the market demands.The certification is the result of systematic work that must constantly be carried out and prioritized in order to be able to offer products with high customer value. 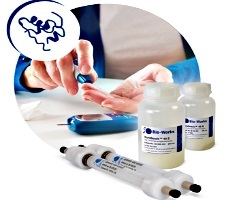 ”The certification according to ISO 9001: 2015 is another important step in establishing Bio-Works as a reliable and long-term supplier for all our Life Science customers. 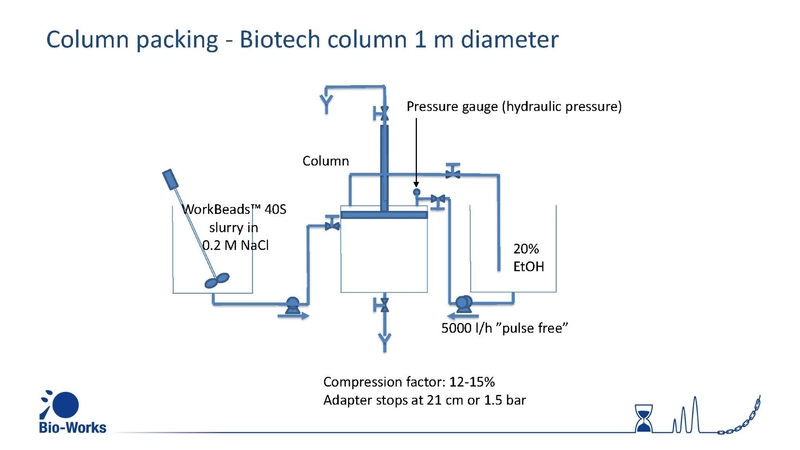 For further information, kindly visit the Bio-Works web site, www.bio-works.com or contact: MatsJohnson, CEO, e-mail: mats.johnson@bio-works.com, telephone: +46 70 516 53 37. 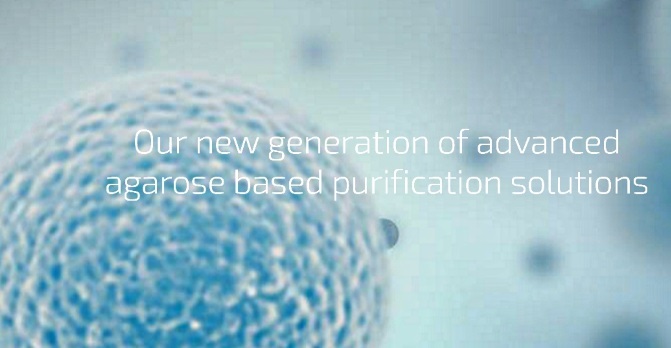 Bio-Works is a biotechnology company that develops, produces and sells innovative separation media products based on agarose to purify proteins, peptides and other biomolecules. 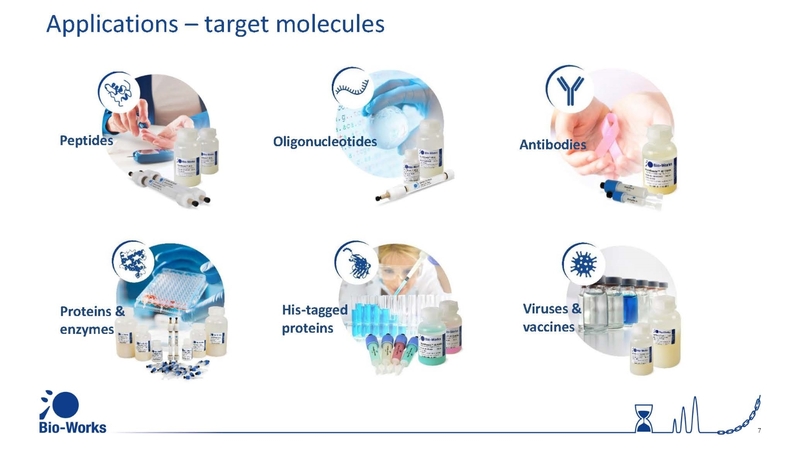 The company's products are mainly used for purifying biological drugs and diagnostic products, from the research phase to large-scale production. 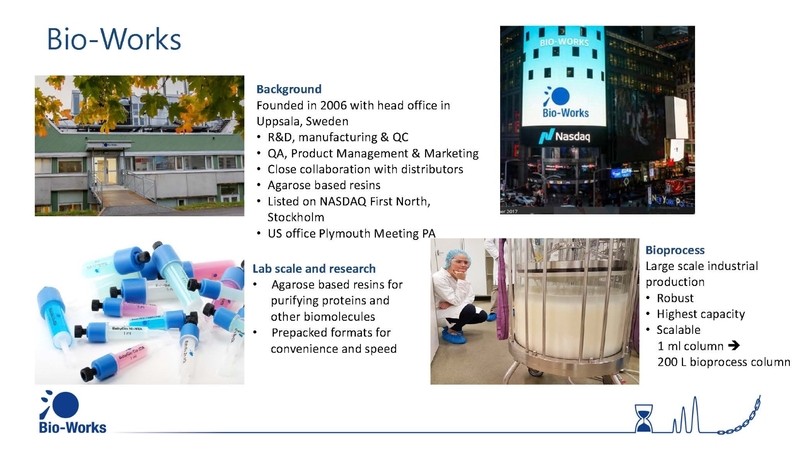 The Bio-Works facility is located in Uppsala Business Park in Uppsala, Sweden. The company's share is listed on Nasdaq First North. FNCA Sweden AB, +46 (0) 8-528 00399, info@fnca.se, is appointed Certified Adviser.